I can’t quite believe I go to Spain tomorrow, it feels like it’s been such a long time since we have had it booked! I’m feeling so excited right now to be able to get out of England for 10 days, to relax by the pool and stuff my face with so much nice food! So I thought I would put together a few essentials in which I will be taking with me on my holiday this summer! As you will need to keep your eyes protected from those UV Rays, sunglasses are definitely essential! 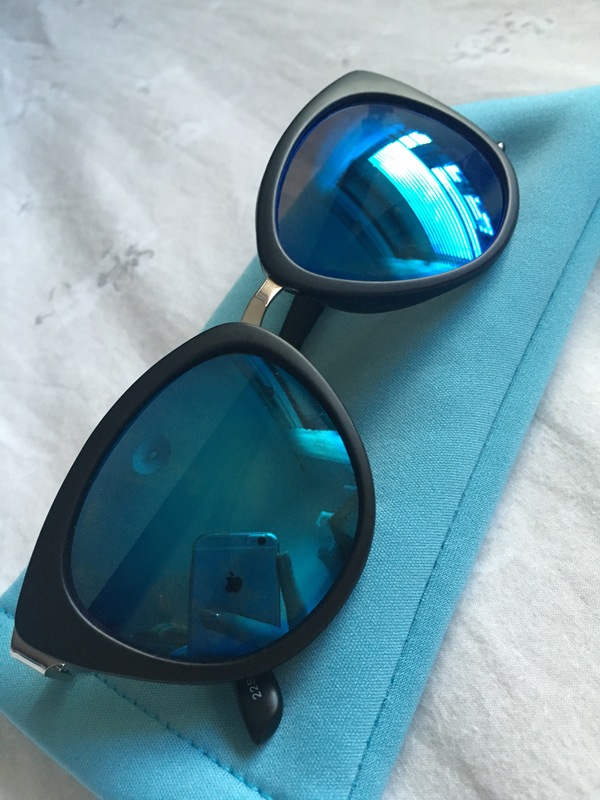 This year I bought my sunglasses from Topshop and I found they had some many gorgeous pairs, that I found it hard to choose which ones to purchase! In the end I chose this gorgeous pair with blue lenses and a matte black frame,I cant wait to wear them as I’m lounging by the pool! I will practically be living in sandals on my holiday this year so I had to choose ones I knew would be comfortable and wouldn’t hurt my feet throughout the day. 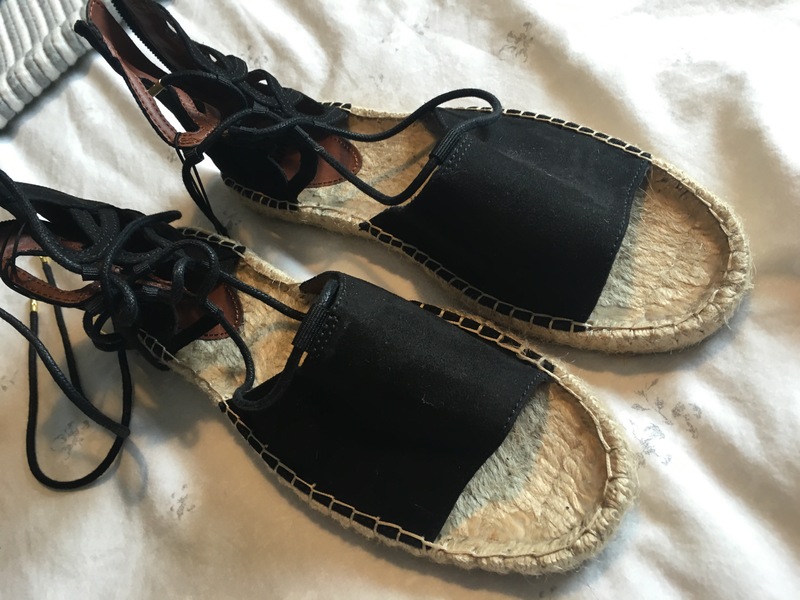 I went on a hunt for the perfect sandals and purchased these beauties from H&M alongside many others in which I purchased from River Island and Primark! I have found the best places to buy bikinis this year has definitely been H&M and I have bought so many gorgeous ones from there! Whether its a trip to the beach, a dip in the pool or topping up your tan while relaxing on a sun lounger, bikinis are essential for any holiday. I hope yous all have a fabulous holiday/summer and feel free to let me know your holiday essentials in the comments below!